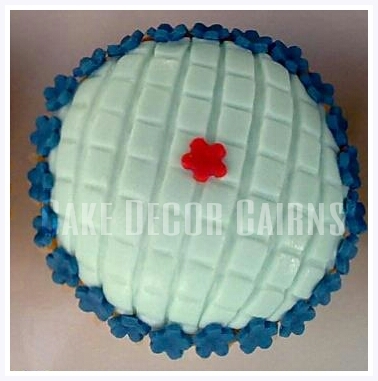 Cake Decor in Cairns: Home made impressions. 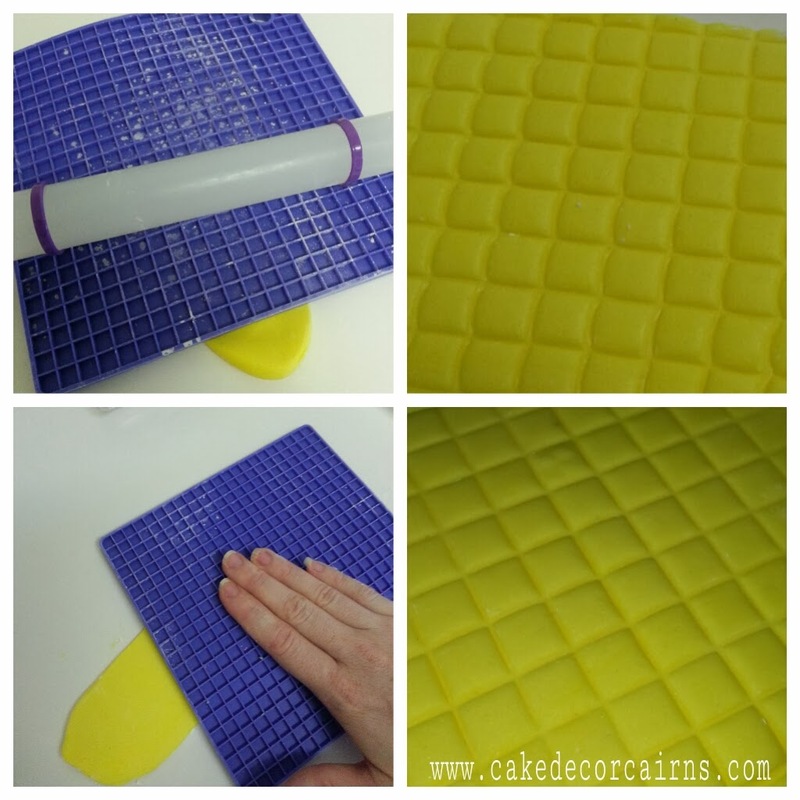 impression/embossing mats bring to the world of cake decorating. But I don't like the price! For a home baker it's really hard for me to justify spending $30 on one small cupcake mat, especially when it's only the one pattern. I'm going to keep coming back to this blog post to add more ideas as I think of them. Today's idea is using gutter guard I picked up from the Hardware store. It creates a sort of tiled texture and could be used in a variety of ways. 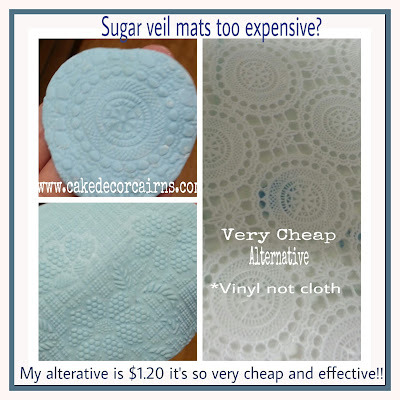 Sugar veil mats have been very popular in the past year but they are so expensive and for an at home baker it's hard to justify the expense. So as promised I will continue to find home made impressions and a much cheaper price! My latest idea was to use a brand new vinyl doily type table cloth. 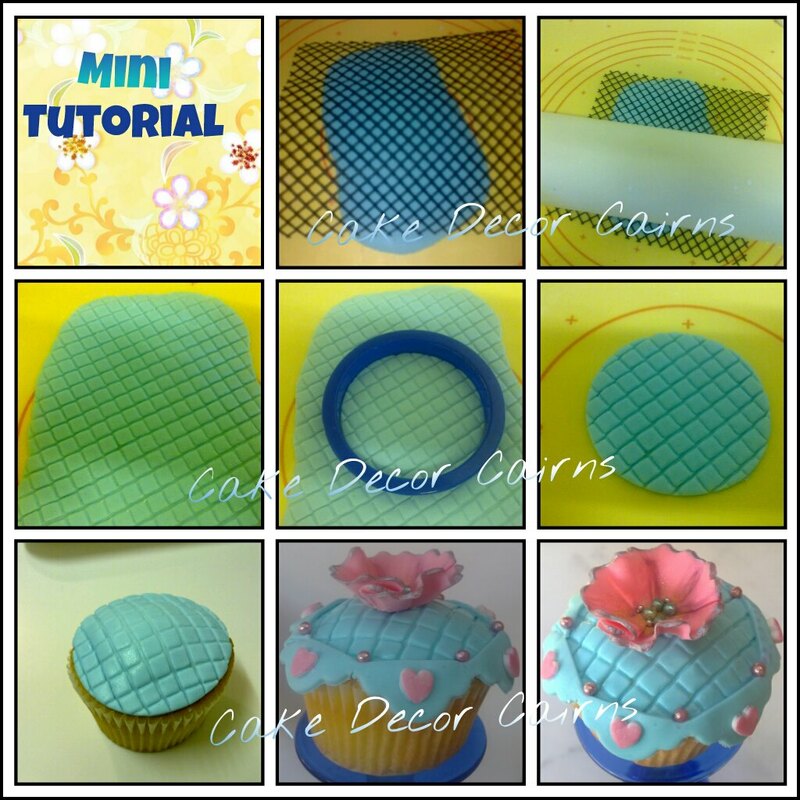 It of course makes a negative (opposite imprint) but it still gives a pretty effect to your fondant. 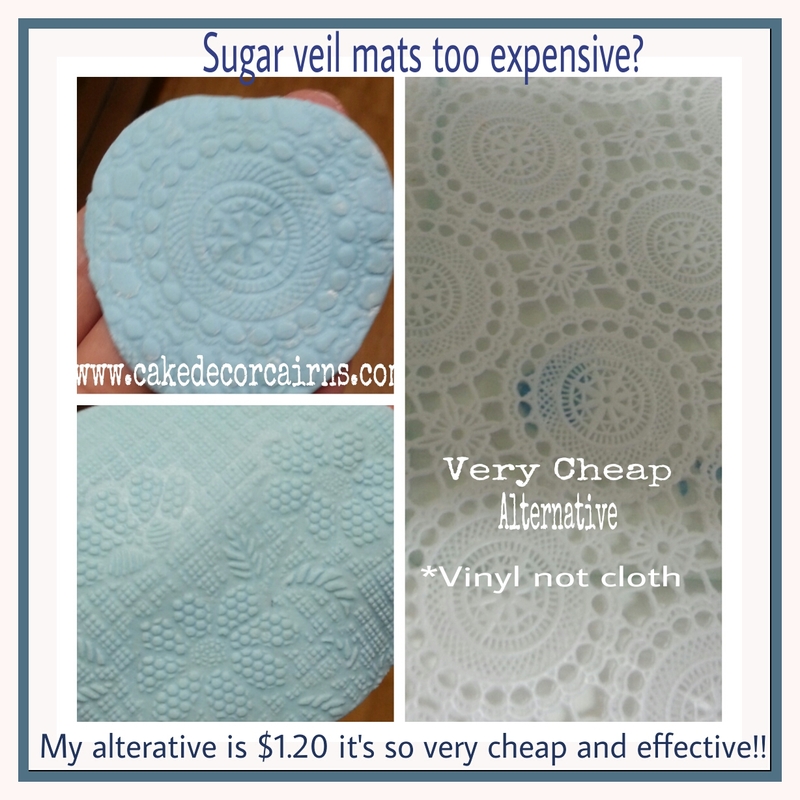 Alternative to expensive Sugar Veil type lace fondant mats. I picked up this $2 silicone pot holder from K-mart. It's a similar pattern to the gutter guard idea except the height of all sides of the little squares are exact. 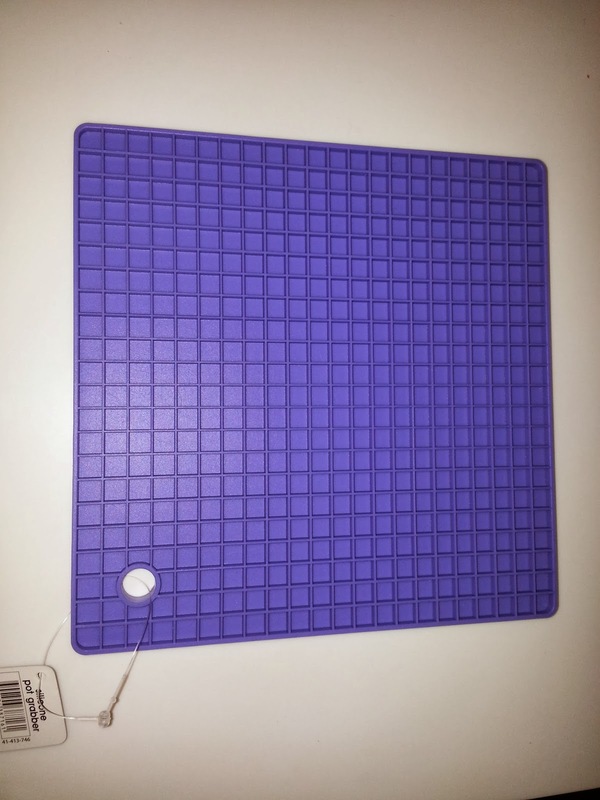 I think it will be perfect for embossing the little squares for "minecraft" fondant toppers. A quick short cut for the large areas of colour. 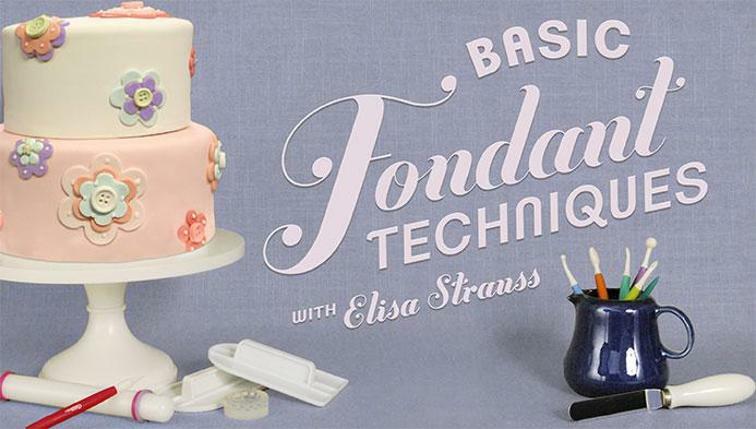 One tip though if you're a little obsessive with straight lines, be careful if your fondant is too thick or the mat moves when you're rolling over it otherwise you may get some wobbly lines. If you can't quite get the knack of it try pressing down directly. Top row shows a slight curve.